And, they’ve been doing it longer. 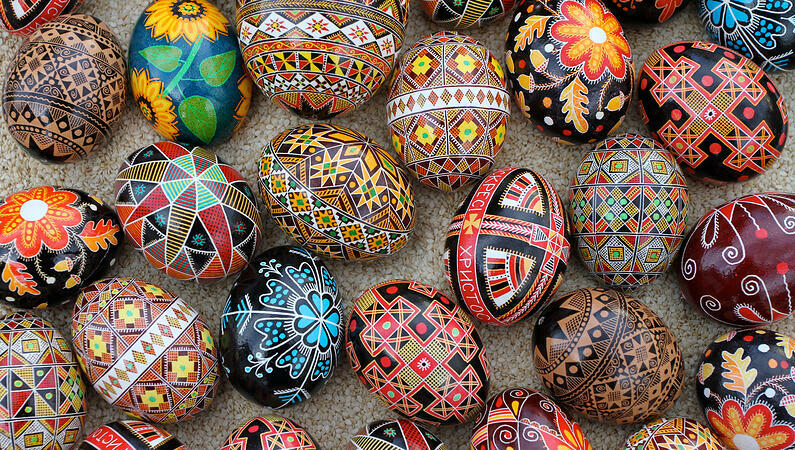 The ancient Eastern European art of egg decorating called pysanky has been handed down through generations and generations of Ukrainian people. Over 2,000 years ago, people decorated eggs with the belief that doing so would bestow great powers into the egg. Eggs symbolized the release of the earth from the shackles of winter and the coming of spring with its promise of new hope, life, and prosperity. With the advent of Christianity, Easter eggs came to symbolize the resurrection of Jesus Christ, and the promise of eternal life. Legend has it that as long as pysanky are decorated, goodness will prevail over evil throughout the world. If someone sent you an Easter card with the picture below, would you be able to read the message it represents? No? That’s okay — here’s the scoop. Signs and symbols have been the means of ancient communication for ages. These particular signs, though, are often used in Ukrainian pysanky and mean wishes for good health, fortune, and prosperity. This is how historians know how far back the tradition of pysanka dates — these symbols are really, really old. 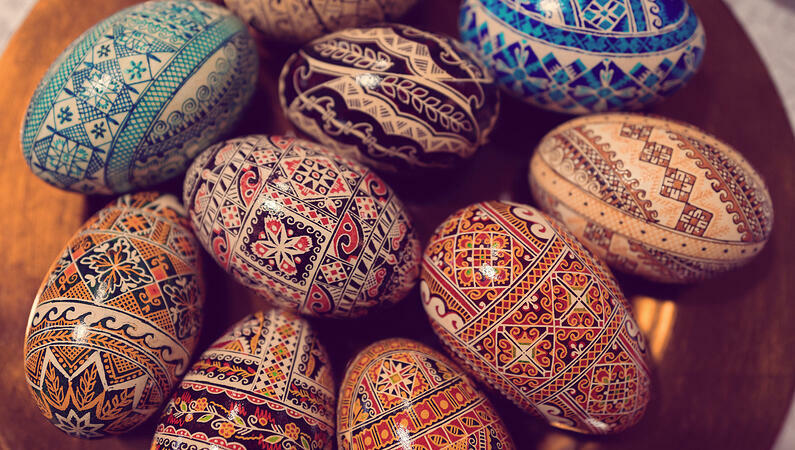 So, if you would like to get a little more creative with your Easter eggs this year, give the gift of good fortune by decorating your eggs pysanky-style. 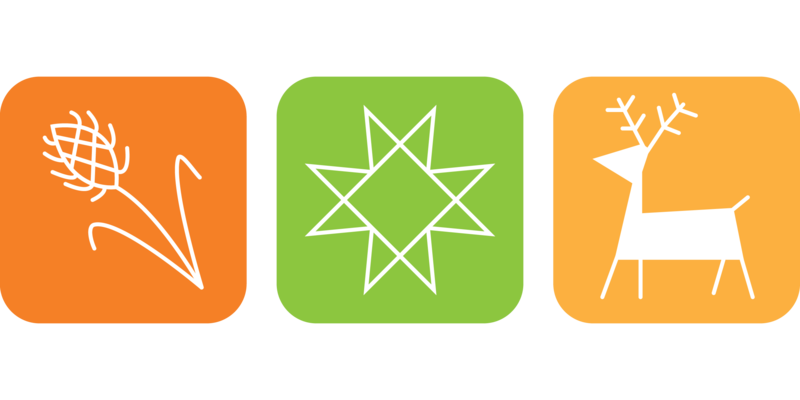 To get you started, here are a few examples of other commonly used symbols. Want to learn more about Ukrainian culture and language? Then you'd love our Ukrainian course. Click below to start learning, just in time for Easter. What is your favorite artistic tradition? Share with us in the comments below!